Happy Friday the 13th! I’m out volunteering with my department, so I wanted to share my #outfitselfie from yesterday. 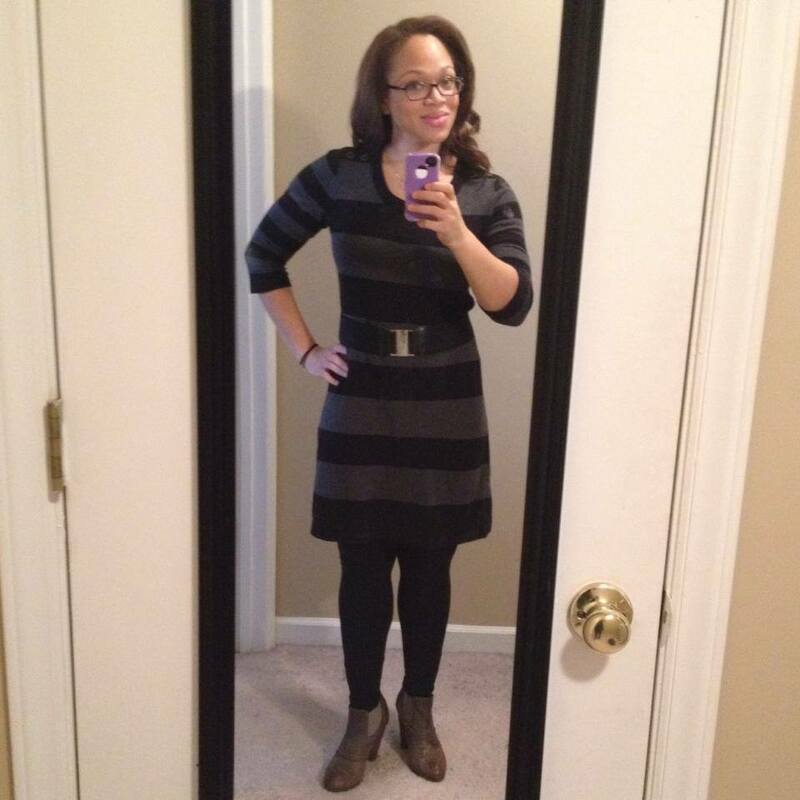 There are many “rules” that are giving to us ladies with curves under 5’4 – don’t wear horizontal stripes, don’t wear ankle boots, don’t smack your gum. Well that last one is for everyone, really don’t do it. It’s not cute. But this outfit breaks the other rules in a way that makes the outfit look a little more street chic and less like what not to wear. The best thing about this are the ankle boots. I am a huge fan of the chunky heel and the gray worn look. The shape of the dress is forgiving. It’s a bias cut which floats away from the body. Most sweater dresses are cut pretty straight through the hip which can make a dress like this with stripes, not a good look. As for the stripes I never thought they would work on me until I bought this dress. Now I want to get one more like it!